The Friends of Murphys Point will be part of the 200th anniversary celebrations for the Perth Military Settlement in April with a fundraising dinner – not to mention their annual general meeting and hike later in April. The Fall River Restaurant is hosting a heritage-themed fundraising dinner as a 200th anniversary event on Sunday, April 17 from 5 to 8:30 p.m.
“We’re thrilled by this partnership with the Fall River Restaurant that will help to celebrate the rich history of Tay Valley Township as part of the anniversary, while helping to support the work of the Friends of Murphys Point Park,” said Friends president Bob Strachan. The dinner will feature heritage-themed foods and a series of short, historical notes presented by Mr. Kiesewalter throughout the evening. There will also be live background fiddle music. Donations made to the Friends over and above the meal cost will receive a charitable tax receipt. To make a reservation, call the Fall River Restaurant at 613-268-2197. More details can be found in the attached poster. The following Sunday, April 24, join the Friends for a brief annual general meeting at 1 p.m. followed by a spring-themed hike at the Lally Homestead led by Mr. Kiesewalter, who will take visitors and Friends on a journey through the natural and cultural history of the homestead site. “The Lally Trail offers a great opportunity to enjoy the beauty of spring at Murphys Point at a site that provides a glimpse into the settlement history of the area,” he said. Refreshments will be provided by the Friends. Members and non-members are welcome to attend. Memberships will be available prior to the meeting (and online) for those interested. The event is free, but donations are welcome. For more than 20 years, the Friends of Murphys Point, a registered charity, have worked to enhance the natural and cultural history programs at Murphys Point. A volunteer board of directors representing the community manages the work, with many dedicated volunteers offering their varied skills. The park is located 20 minutes south of Perth on Big Rideau Lake. 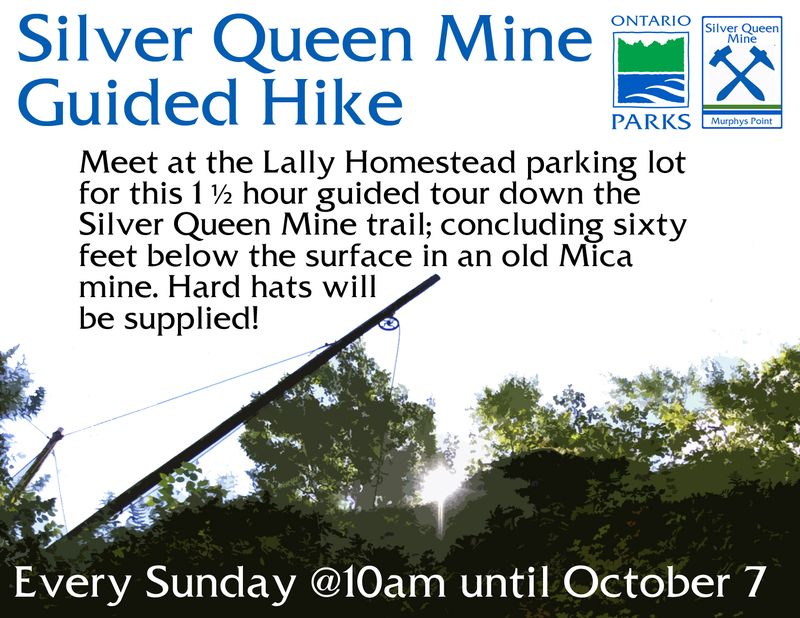 For more information about contact Bob Strachan at 613-267-4477 or e-mail friendsofmurphyspointpark@yahoo.ca.